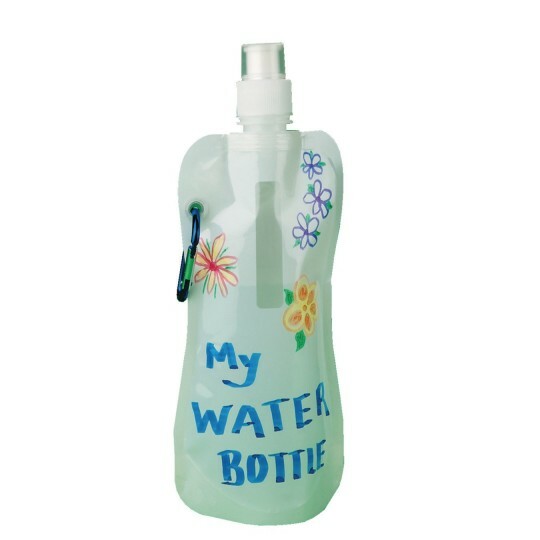 Lightweight, collapsible plastic water bottle with carabiner clip is a great portable water supply on hikes and other outings. Easily clips to a belt or backpack. Make each one unique with the included permanent markers. Snap-close lid with cap. Hand wash and air dry only. 10-1/2" tall. 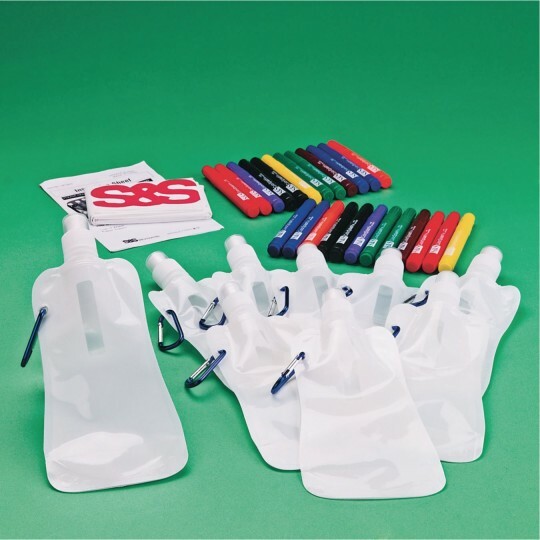 Includes water bottles, markers, and instructions. Bottle is BPA free. 15.9 fluid ounces. I coordinated a program for kids with unique needs this summer. 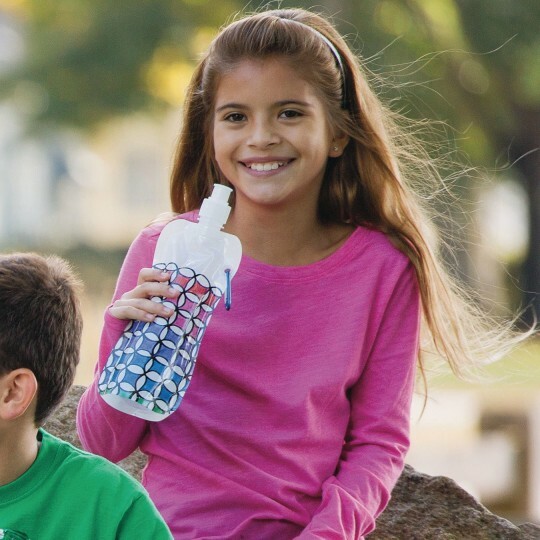 The kids enjoyed the water bottle craft and used them when we went on trips and camping. 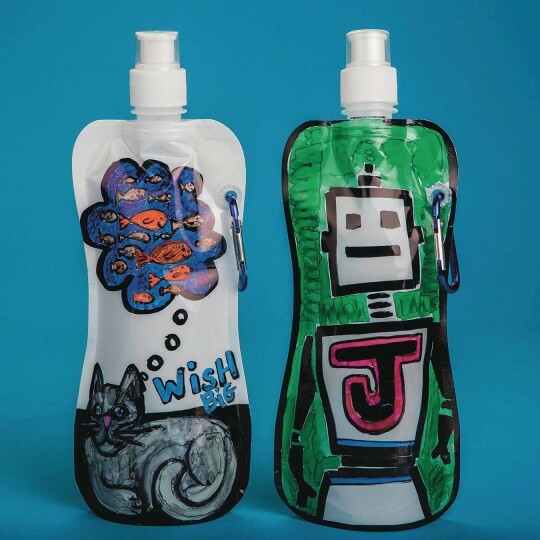 Kids can decorate their own water bottle to bring to the summer program every day. Each child has his own personal design for their bottle. Easy to paint since they lay flat. We used this for a Vacation Bible School craft and the children loved it! Very easy to do yet it provided an open-ended craft that allowed them to express their creativity. While it was more expensive than we usually purchase it was worth it. Perfect for STEM Science Camp field trip!